UN - 16 February 2015 – At the request of the top United Nations rights official, the Geneva-based UN Human Rights Council today agreed to temporarily hold off its consideration of a long-awaited report into alleged rights violations during the conflict in Sri Lanka for six months, until September 2015. 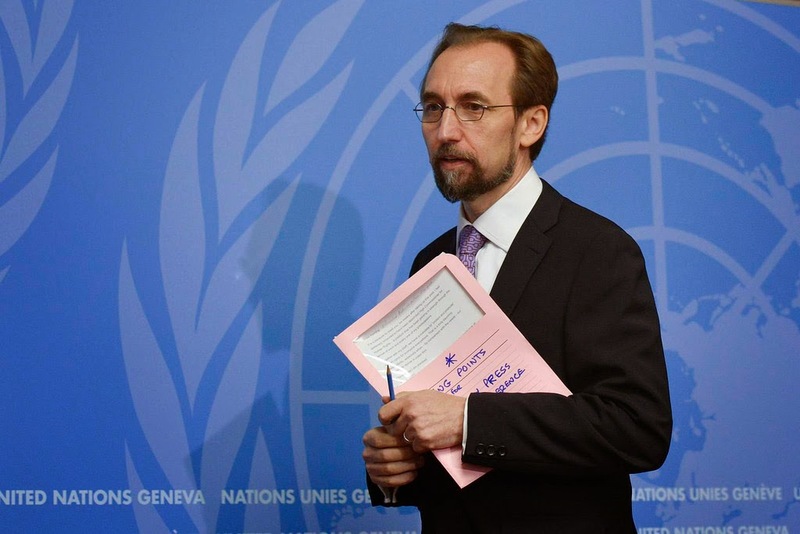 Explaining his “difficult decision,” Zeid Ra'ad Al Hussein, the UN High Commissioner for Human Rights said in a press release issued by his Office that the deferral of the report was “for one time only,” and guaranteed that the report would be published by September. His request for deferral was granted by the Council on Monday afternoon. Mr. Zeid noted that the three distinguished experts, appointed by his predecessor Navi Pillay to advise the investigation, had informed him that, in their unanimous view, a one-off temporary deferral would be the best option to allow space for the new Government to show its willingness to cooperate on human rights issues. “Taking all this into account, I have therefore decided, on balance, to request more time to allow for a stronger and more comprehensive report,” he said, underscoring that he is acutely aware that many victims of human rights violations in Sri Lanka, including those who bravely came forward to provide information to the inquiry team, might see the deferral as the first step towards shelving, or diluting, a report they long feared they would never see. Mr. Zeid gave his personal, absolute and unshakable commitment that the report will be published by September. “Like my predecessors, I believe that one of the most important duties of the High Commissioner for Human Rights is to act as a strong voice on behalf of victims. I want this report to have the maximum possible impact in ensuring a genuine and credible process of accountability and reconciliation in which the rights of victims to truth, justice and reparations are finally respected,” he declared. The Council requested OHCHR to establish the facts and circumstances of such alleged violations, and of the crimes perpetrated, with a view to avoiding impunity and ensuring accountability,” with assistance from relevant experts. An expert panel was set up in late June and OHCHR was to present a comprehensive report on its findings in March 2015.